Edvard Beneš lived in extraordinarily turbulent times; he was exposed to tremendous pressures and had to make serious decisions. Could he, or should he, have acted differently in some situations? Would we be able to do so? Who was Beneš and who is he for us nowadays? These questions and other related topics will be the subject of an interactive debate to take place on Wednesday, 4th November 2015 in the Břetislav Bakala Hall (Sál Břetislava Bakaly) and will be broadcast live from 6 o'clock p.m. on the website of the Czech TV. Please do not hesitate to ask questions and present your opinions before and during the event by e-mail and on the Year of Reconciliation Facebook. After 6 p.m. you can also join the discussion by SMS – telephone: +420 724 549 813. Journalist, columnist and author of numerous biographies and professional publications focusing on the modern history of the Czech Republic, including Osm žen z Hradu ("Eight Ladies from the Castle", 1993), Člověk má dělat to, nač má sílu – Život Olgy Havlové ("People Should Do What They Have Enough Strength For – the Life of Olga Havlová", 1997), Gottwaldovi muži ("Gottwald's Men", 2004), together with Karel Kaplan) or České snění ("Czech Dreaming", 2010). He was also one of the authors of the television series České století ("The Czech Century", 2013). One of the founders of the Antikomplex civic association, which significantly contributed to the development of the post-November reflection of the post-war expulsion. 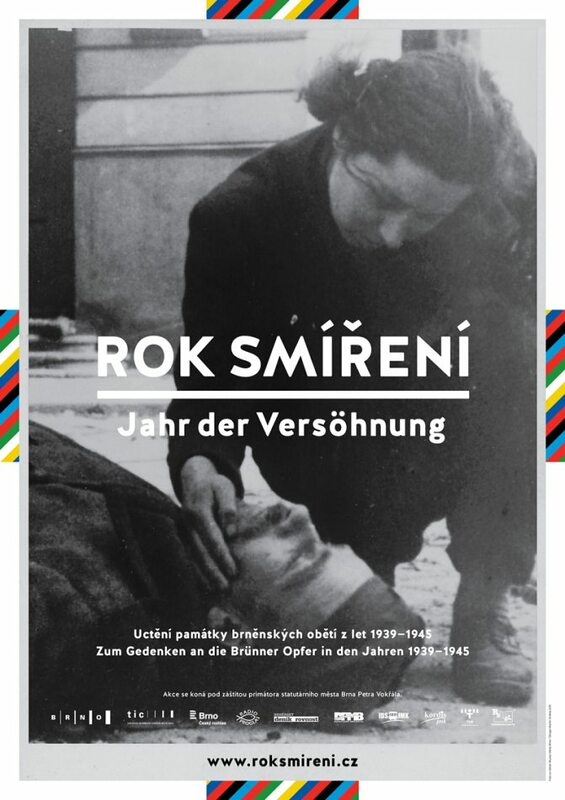 He is a co-author of the exhibition Zmizelé Sudety ("The Disappeared Sudetenland") or the publication Nejsou jako my ("They Are Not Like Us", 2012) dedicated to the situation of minorities in the first years after 1948. Since 2012 he has worked at the Institute for Contemporary History of the Czech Academy of Sciences in Prague. Historian and political scientist working at the Masaryk Institute of the Czech Academy of Sciences, specializing in the history of the first and third Czechoslovak Republics and the development of Czech political thinking and political parties. He has published numerous studies in scientific journals and anthologies; he is a member of several expert societies and of the scientific board of the ÚSTR (Institute for the Study of Totalitarian Regimes). Director of the Forum Institute for the Research of Minorities in Šamorín and Head of the Department of History at the János Selye University in Komárno. He focuses on the history of the Hungarian minority in Slovakia and has written numerous monographs and scientific studies. Journalist and columnist, publicly known primarily as a moderator and principal screenwriter of the Czech TV show Historie.cs. He also co-authors the show Politické spektrum ("The Political Spectrum"). He participated in the creation of documentaries – such as Začátek konce ("The Beginning of an End") or Labyrintem revoluce ("Through the Labyrinth of the Revolution") – or the cycle Konečné řešení ("The Final Solution"). In addition, he contributes to a wide range of periodicals and is the holder of several prestigious awards for journalism and documentary production.